Does your little girl like to play with spin tops? 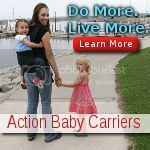 My daughter enjoys playing with them, but I have founded that she loses them pretty quickly. Plus, now that she is older, there is no more satisfying her with boring generic spin tops. The last spin top we picked up for her, she insisted getting a colorful one because it looked prettier when she played with it. Fur Real Friends now offers Dizzy Dancers that are exactly what my little girl had been dreaming about. She likes spin tops but finds them to be too boring for her taste. The Dizzy Dancers spin just like spin tops do, but they are much cuter and more fun than the traditional spin tops. Playing with it is not difficult at all. DD just inserts the cord into the base and then pulls it out to watch the little dancer spin away. 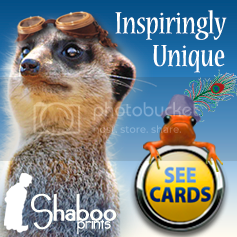 There are many cute designs to choose from. DD loves the pink one she got to review, but she is already asking if she could buy more and start a collection, lol. 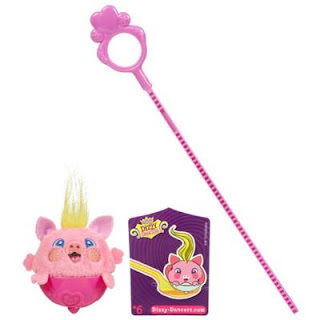 To buy this new and fun toy for your child to play with, please visit the Hasbro online store. Many thanks to Hasbro. The company has generously offered 1 Dizzy Dancer as a giveaway prize to one of my lucky readers. This giveaway ends on April 25th, 2012. 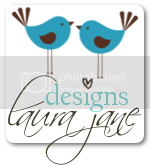 I am a new follower on your blog and would love to win. I entered Black Freshwater Pearl Pendant Necklace. my daughter said mandipandee is so cute! I like FURREAL FRIENDS DIZZY DANCERS TWIRLICIOUS COLLECTION PENELOPAW Pet, she so cute. I entered your Zoobies Blanket Pets Giveaway. 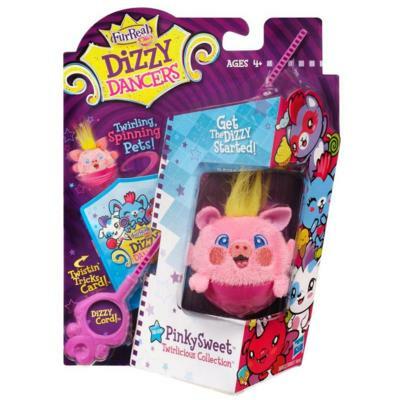 My daughter would love FURREAL FRIENDS DIZZY DANCERS TWIRLICIOUS COLLECTION PENNYWADDLE Pet! And this toy looks like soooo much fun! FURREAL FRIENDS DIZZY DANCERS TWIRLICIOUS COLLECTION PIPPIPETALZ Pet would be great!!!! I like Penny Waddle Pet! Purranda! I'm a GFC follower: Ashlee Ostrander. I am already a follower of gfc. 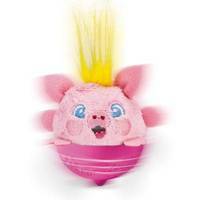 my granddaughter would love the FURREAL FRIENDS DIZZY DANCERS TWIRLICIOUS COLLECTION PIPPIPETALZ Pet. My daughter like the Dizzy Dancers MANDIPANDEE. I posted the morning tweet on Twitter at https://twitter.com/#!/likwan/status/195411268365074432. 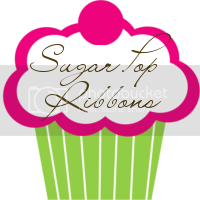 I entered the Sibu Beauty giveaway.